First Nations Development Institute (First Nations) recently issued additional reports in its series that examines philanthropy and the underfunding of Native American causes, as well as two new reports that look at Native American food systems. 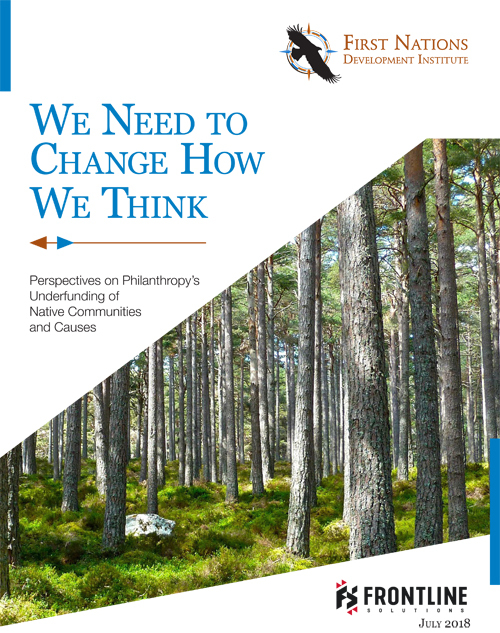 The first report, We Need to Change How We Think: Perspectives on Philanthropy’s Underfunding of Native Communities and Causes, continues the discussion on philanthropy and the underfunding of Native American causes. The report, prepared by First Nations’ partner Frontline Solutions, sheds light on the question: Why does philanthropy continue to only minimally support Native American organizations and causes? From June 2017 to April 2018, Frontline Solutions conducted research to identify underlying reasons for the chronic underfunding of Native causes. Guided by input from First Nations, Frontline Solutions conducted 42 key informant interviews with leaders from philanthropic foundations and Native-led nonprofit organizations. The philanthropic foundations included some that support Native causes, and some that don’t currently fund Native causes. 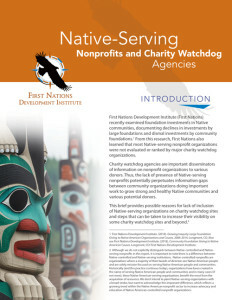 The second report, a brief, is titled Native-Serving Nonprofits and Charity Watchdog Agencies. It investigates the lack of inclusion of Native-serving organizations on charity watchdog sites, and details some steps that organizations can take to increase their visibility on some of these sites and beyond. First Nations also released two new reports as part of its ongoing Nourishing Native Foods and Health program area that focus on increasing knowledge and understanding of Native food systems. 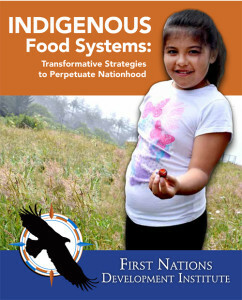 The first report, Indigenous Food Systems: Transformative Strategies to Perpetuate Nationhood, focuses on the Native food sovereignty movement. The report examines what various grantees are doing to protect and perpetuate important food sources, and explains how this work defends tribal nationhood, and is thus vital to both tribal communities and larger society. 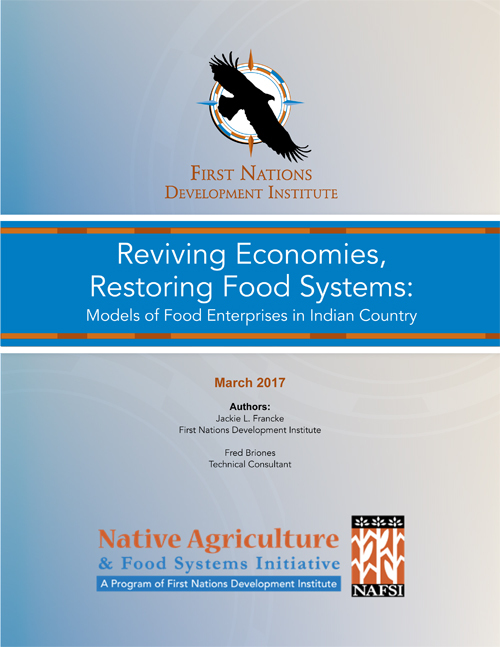 The second report, Reviving Economies, Restoring Food Systems: Models of Food Enterprises in Indian Country, highlights five food enterprises in Native American and Native Hawaiian communities that are leading the way to increase positive health factors and build wealth for their community members on Indigenous terms. All of these reports can be downloaded for free from the First Nations Knowledge Center at https://firstnations.org/knowledge-center. Please note that if you don’t already have one, you must create a free user account to download the reports. Your account will give you access to these and many other materials and resources in the Knowledge Center.